Located off the main route high up on a hillside in the national park, this tented camp boasts views stretching far and wide. 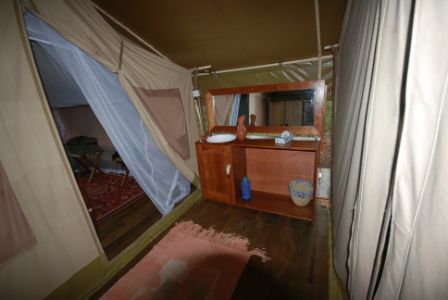 This camp provides very traditional East African safari style tented accommodation, each en suite tent with its own wooden deck, private dressing area and hot shower. 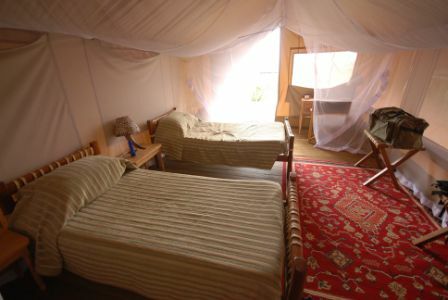 The camp offers a thatched central dining and bar area serving cold drinks and multi course meals. Mantana’s spectacular views and free roaming wildlife offer guests a special opportunity to get close to nature. Mihingo Lodge is a peaceful and luxurious retreat adjacent to Lake Mburo National Park. Sitting on over 200 privately owned acres, the lodge features ten rooms built on wooden platforms and stilts and covered with traditional thatched roofs. The lodge’s spacious and comfortable en suite tents have hot and cold running water and hot showers with each room privately located, enabling guests to enjoy the tranquil environment in complete seclusion. Guests can choose from a forest setting, lake view or rock outcrop. The lodge’s large thatched dining area was built using stone, the wood of dead olive trees and native grasses found on the property. 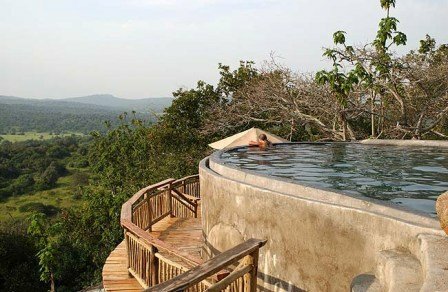 Guests can dine at or take an afternoon swim in Mihingo’s infinity swimming pool while enjoying the spectacular view of the park’s vast valley and stunning evening sunsets over Lake Mburo National Park. 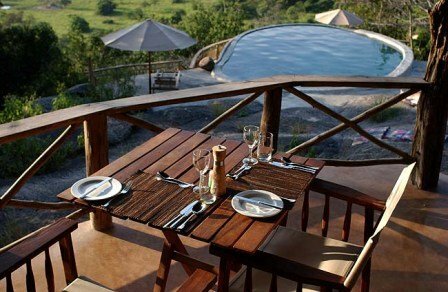 Animals gathering in the valley provide fantastic game viewing opportunities and guests can watch wildlife at the lodge’s watering hole and salt lick below the pool.